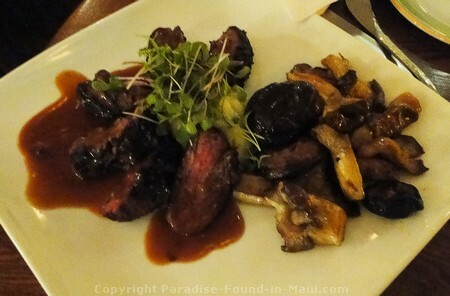 Haliimaile General Store - Why It's One of the Best Restaurants in Maui! 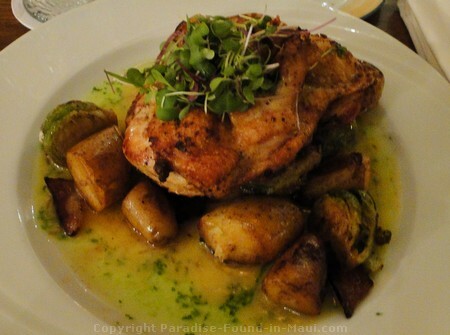 Haliimaile General Store: One of the Best Restaurants in Maui! 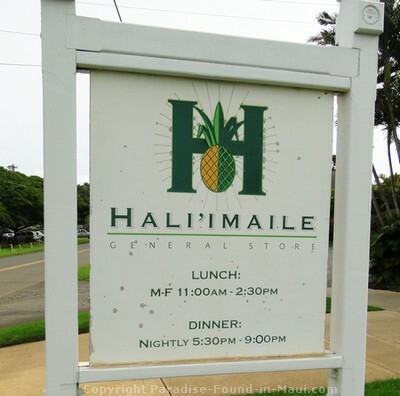 Haliimaile General Store has won multiple awards over the years for everything ranging from their food and delicious desserts to their innovative menu of eclectic American cuisine with its Asian overtones. 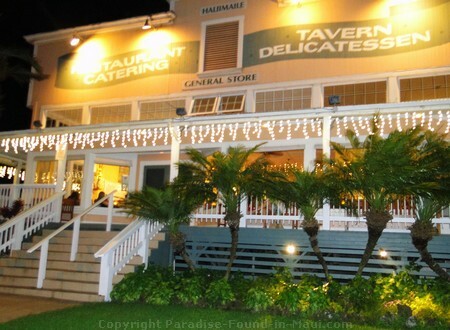 So, when we found ourselves driving by, knowing this was one of the best restaurants in Maui, I said to my husband we just HAVE to eat dinner here tonight! And we did! 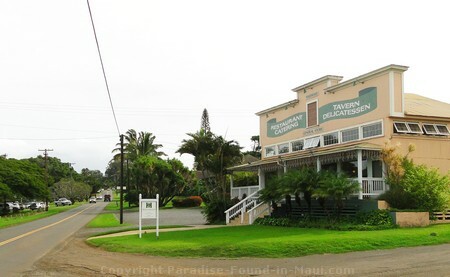 Their lovely heritage building dates back to the 1920's when it got its start as, well, a general store, for Maui's upcountry plantation town of Haliimaile. It was a one stop shop for the butcher, fresh fish, mailing a letter and even buying clothes and appliances! 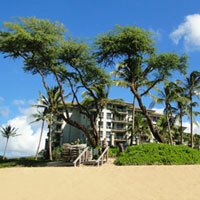 Today, the focus is on their food, made with Maui's fresh, local, Upcountry ingredients, and served with heaps of aloha! They do still sell some merchandise though: souvenir t-shirts and caps, plus cookbooks signed by the owner of the restaurant herself, Bev Gannon. 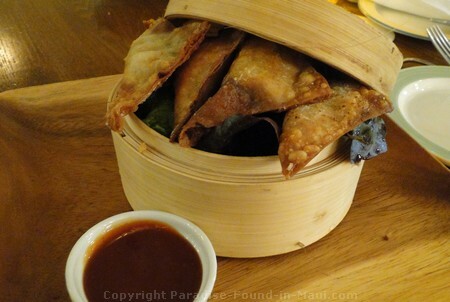 Since the food is key to their being one of the best restaurants in Maui, let's get right down to the main event - what did we eat? For dinner, I chose some absolutely divine beef medallions in a yummy sauce with a generous side of mushrooms. Unlike most places, they did NOT skimp on the mushrooms, which was much appreciated! My husband chose the Roasted Meyer Lemon Half-Chicken, served with seared shallots, bacon (what guy doesn't love bacon! ), plus a side of veggies, potatoes, and a lemon drizzle. For dessert, I saw that they had creme brule on the menu, so I decided to give it a try. I'd been looking for a creme brule to replace my old favourite at the now-closed Chez Paul... would I love this one from Haliimaile General Store as much as that other one? 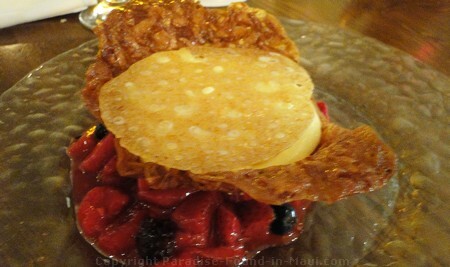 Luckily, their Lilikoi Brule in its sweet almond brittle cup with the fresh fruit compote was truly fantastic. 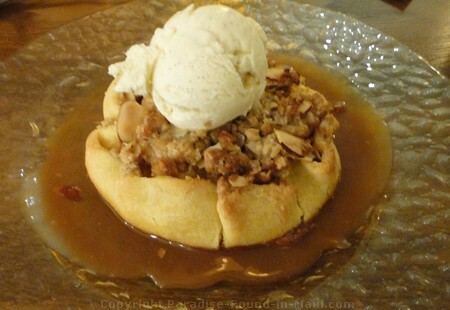 Finally, I'd found a worthy substitute for my old fave from Chez Paul's! Of course, now I had a tiny problem... when cravings strike for this delicious treat, I'd now have to drive all the way to Upcountry Maui to satisfy it. Oh well... there are worse problems to have, right? 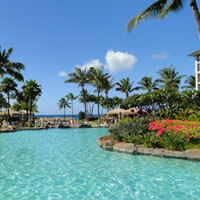 So now you have some idea of why this is one of the best restaurants in Maui, right? If you want to check them out (and I totally think you should! ), the Haliimaile General Store is open for lunch M-F from 11 a.m. until 2:30 p.m, plus open for dinner 7 days a week from 5:30 p.m. until 9 p.m. Most of the dinner entrees are priced between $30 and $40. Pasta or grilled salmon is a little bit less, and the rib-eye steak is a bit more. Appetizers are priced between $10 and $16. If that's more than you want to spend, then head over for lunch instead, where you'll find salads for as little as $10, and entrees for as low as $14. The drive is pretty as the road winds gently through sugar cane fields, and a few hills. 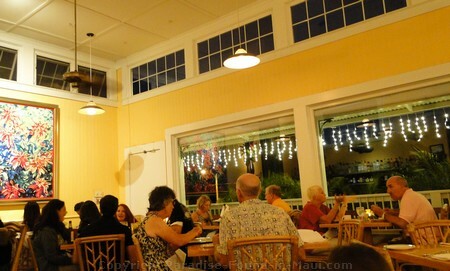 The restaurant itself is located in the midst of old pineapple fields. 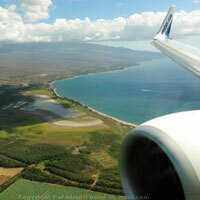 To get here, head towards Kahului, then follow the Hana Highway (route 36) east for about 2 miles. Make a right turn onto the Haleakala Highway (route 37). You can't miss the intersection here as it's BIG and has a set of traffic lights. After a little less than 5 miles, you'll see Haliimaile Road (highway 371) on your left. Turn onto it, drive a little over 1.5 miles, and just after Upcountry Fine Art, you'll see Haliimaile General Store on your right.